Children love making art. Glueing and sticking, painting, drawing. Especially if they are at school or nursery, always coming home with new pictures to add to the collection. They are always super proud of them too, even if you..can't...quite...tell what it is supposed to be. It's always so nice to put up their pictures, somewhere for everyone to see, somewhere they can look at them and be proud of themselves. It's lovely. The trouble is though, with so much artwork coming into our homes every week, it's hard to find places for it all. I am not really ashamed to say that a few odd bits of artwork, mysteriously go missing. Ones that don't look like anything, one's with random objects stuck to or like one pink scribble or something. The majority of artwork is stored in a file of some sort, to look through later. 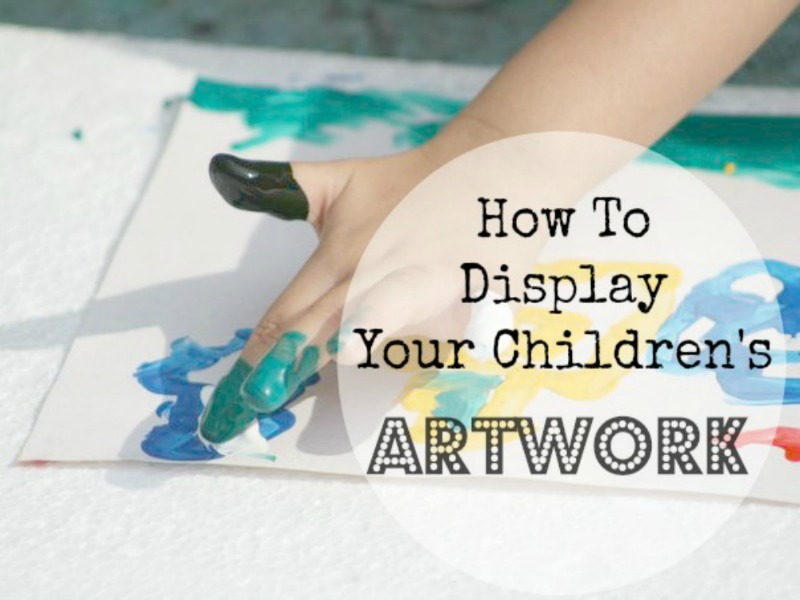 But the best pieces of artwork should be displayed proudly, so here I am (and a few other mummies) giving you some inspiration into different ways to proudly show off your children's artwork! I created this display frame from an old noticeboard. I separated the cork board from the frame and painted it. 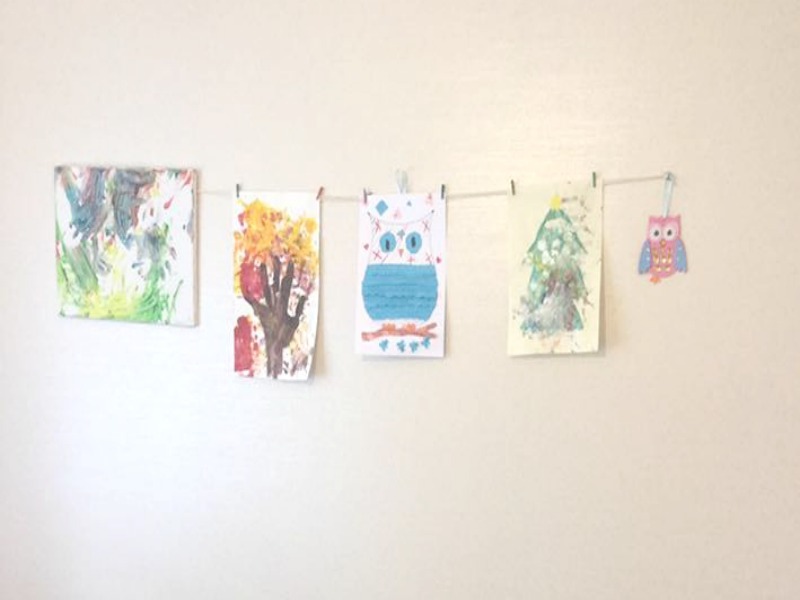 Secured some string to the back, hung it on the wall and it's now displaying my son & daughters artwork. Best of all it's in their bedroom, which they absolutely love (and we don't have a playroom! Boo). Little Girlie wakes up and admires her art, when friends come round, it's the first thing she shows them! 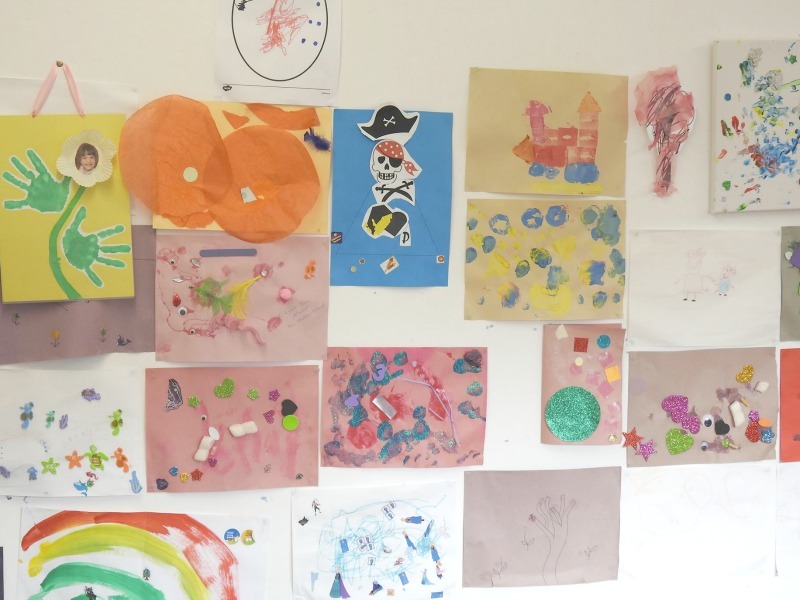 If you have enough space, you could decorate a whole wall with your children's artwork, like Angela from Adventures In Websterland does! 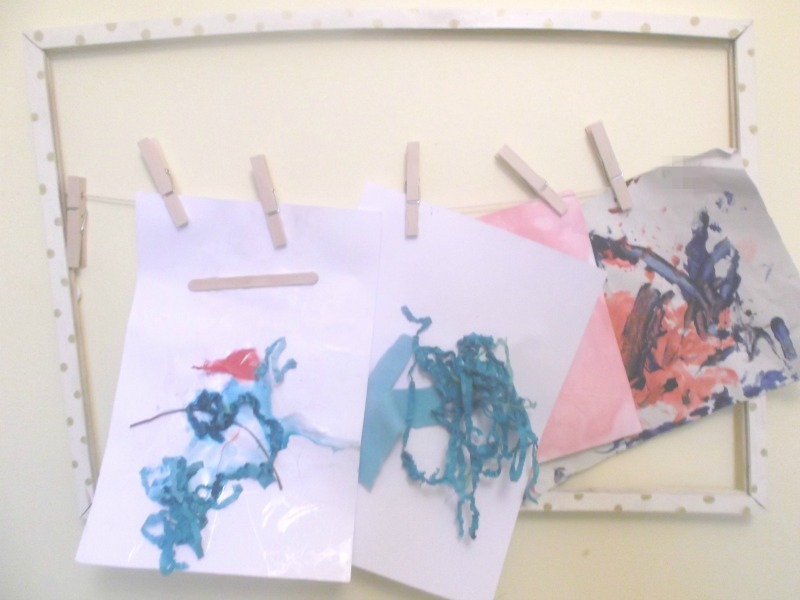 Another simple, yet effective way to display art is to attach string to the wall & use pegs to attach the pictures, like Emily from Confessions of a Slummy Mummy! It is a great way to show it off proudly, and it's super easy to switch it up or add new pictures! If you are looking to make it look a bit smarter and more decorative, you could pop some of the favourites into frames and put them on the wall. You can still switch them up when you want, but it does look nice showing off the art properly in a frame. 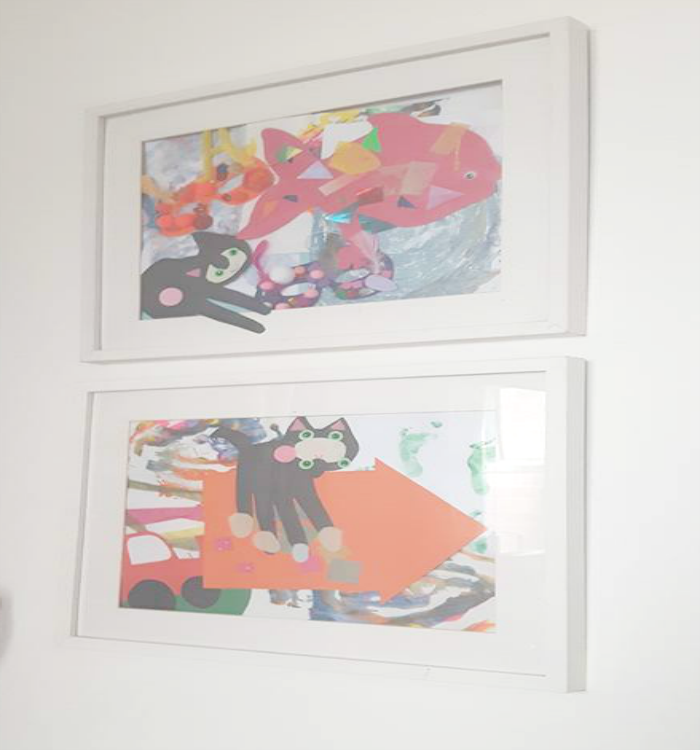 Laura from Wafflemama uses these Ikea frames to display her children's artwork! Finally, if you are looking for a more permanent art piece, you could get your children to go crazy and decorate some little canvases instead! 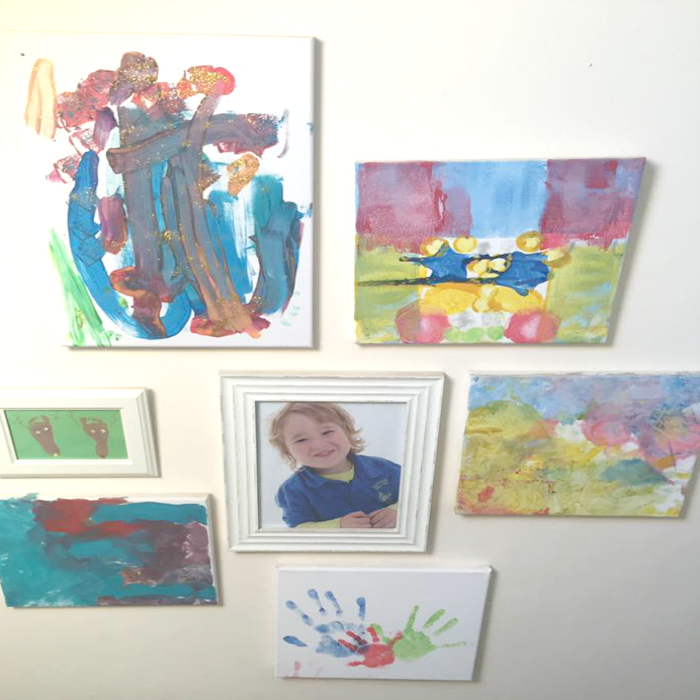 Sarah from Each Peach Pear Plum let her children paint some amazing canvases which she then displays in her home.